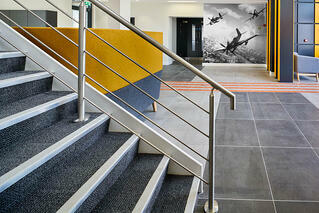 Over the years, we’ve seen clients struggle to find the best stair nosing for their installations. We get it - there are lots of options out there, and there are quite a few things that can go wrong if you make the wrong choice. Here are some of the most common problems that can occur, along with tips that can help you avoid them in the first place. You think that you’ve made the perfect choice for a stair nosing. It looks great, and everyone is complimenting you on your selection. But often, once the stairs are finally in use, the nosing does not perform as expected. For example, you may not have considered the fact that at certain times of the year, people will enter the building with water or snow on their feet on a bad weather day. Even though the stair nosing looks amazing and protects the edge of the step, this could create a slip hazard for people with wet feet. 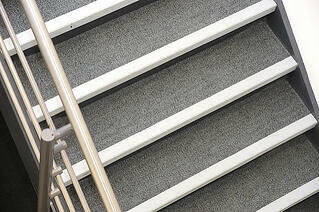 Weather is not the only environmental concern that can impact the effectiveness of stair nosing. Proximity to a cooking or serving area with grease, food, or liquids, can also impact the type of stair nosing needed. In this instance, make sure that the nosing will help prevent slipping on the steps, while also protecting the edge of the step. While stair nosings with a plated finish (such as chrome or anodizing) look very nice and offer a “high-end” look to your project, they are not ideal for high traffic areas or spaces in which moving equipment (handtrucks, etc.) will be used. These conditions often ruin the intended elegant look once the nosing plating starts to wear or gets nicked and chipped. Save yourself the expense of having to replace stair nosing profiles often by choosing a solid metal or plastic profile that will survive extra wear and tear. Fortunately, nosing profiles with sturdy finishes are available. It’s important to know what type of traffic the stairs will be subjected to in order to make an educated decision about the most appropriate stair nosing profile. The material that is used for the stair nosing has to be able to withstand the level of traffic, as well as any equipment that might be rolled up and down the stairs. How will you know? Always check the manufacturer’s recommendations for traffic level and type before making the final decision for your stair nosing. The last thing you want to experience down the road are damaged nosings because they are the wrong profiles for the job. You may think that skipping a small, seemingly unimportant detail will help finish your job on time without significant repercussions. But remember, attention to small details often save time and money in the long run. 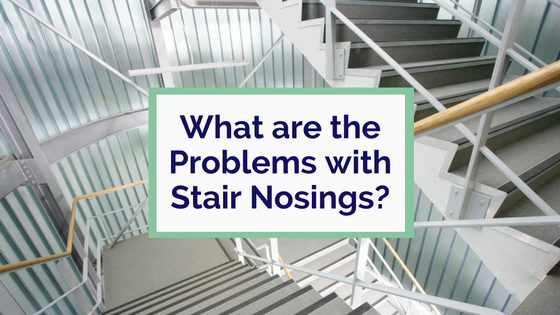 If a stair nosing isn’t installed properly, there are several things that can go wrong. 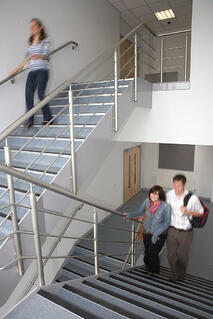 First and foremost, the stair nosing could become loose and cause a trip hazard. The last thing you want to happen is for someone to be injured because your stair nosing wasn’t adhered properly to the floor. Also, the stair nosing stands a higher chance of getting damaged if it isn’t properly installed. If it’s sticking up or coming loose, every time that it’s kicked by foot traffic or rolled over with equipment, it will become more loose and damaged. Because of this, it’s always a good idea to ask for proper installation instructions when you purchase the stair nosing profiles. When these problems occur, you can lose time and money on repair or replacement. Instead, take the time before installation to ensure you’ve selected the appropriate stair nosings for your project’s environment and traffic. If you have any questions or would like guidance on choosing stair nosing for your next installation, please contact us. 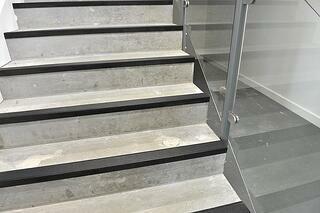 Why Do I Need Stair Nosing (Edgings)?